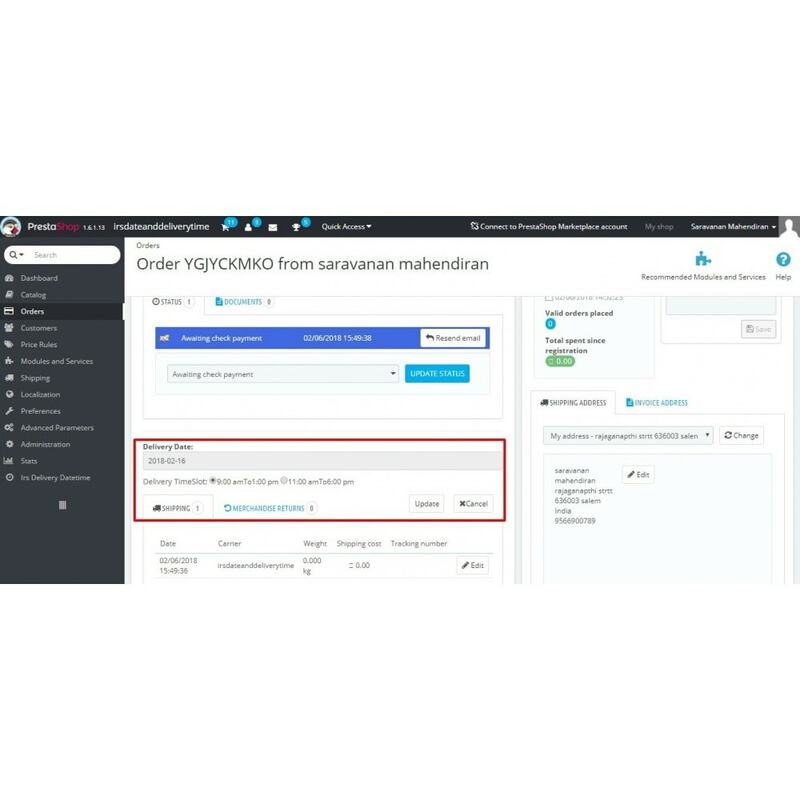 When customer place order with pick his expected delivery date and Delivery Time in Shipping Method Tab, On Cart checkout page. 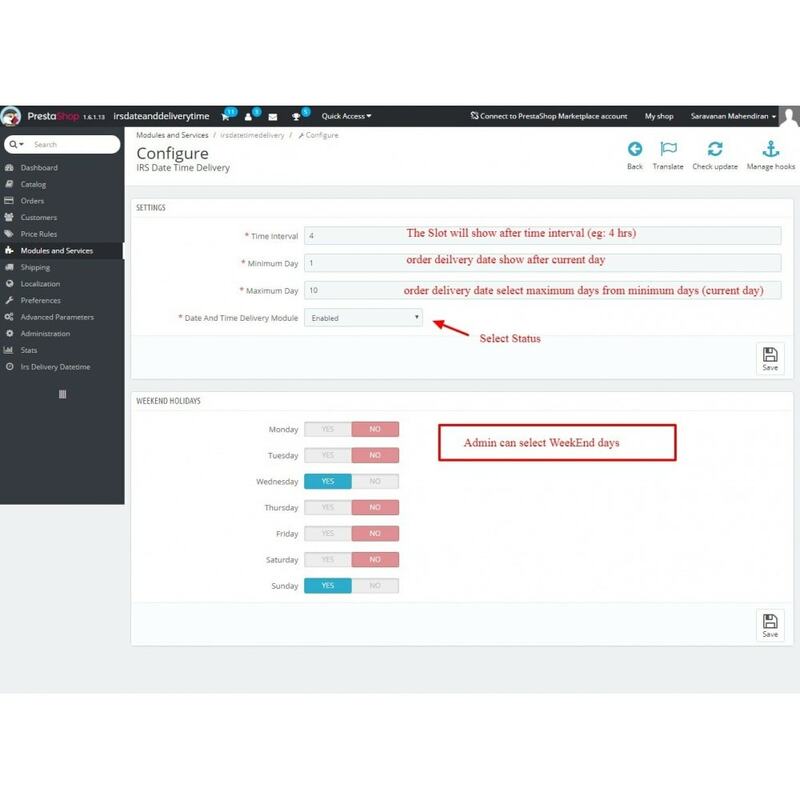 => It allows the admin user can add Delivery Time Slot for the day. => It allows the admin user can add minimum and maximum days for order delivery. 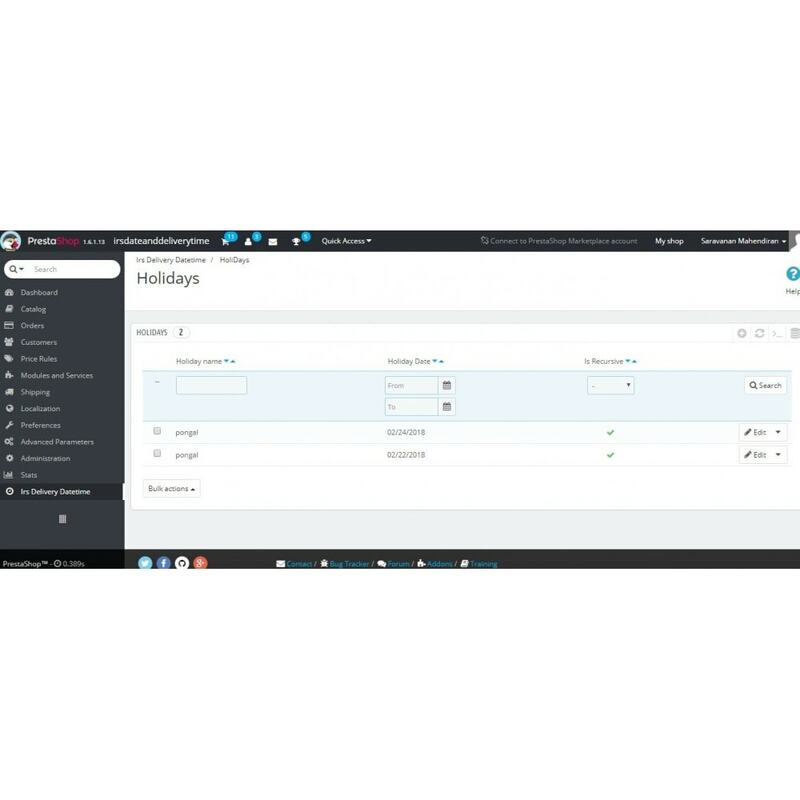 => It allows the admin user can add normal holidays for order delivery. => It allows the admin user can add recursive holidays for order delivery (for all years). 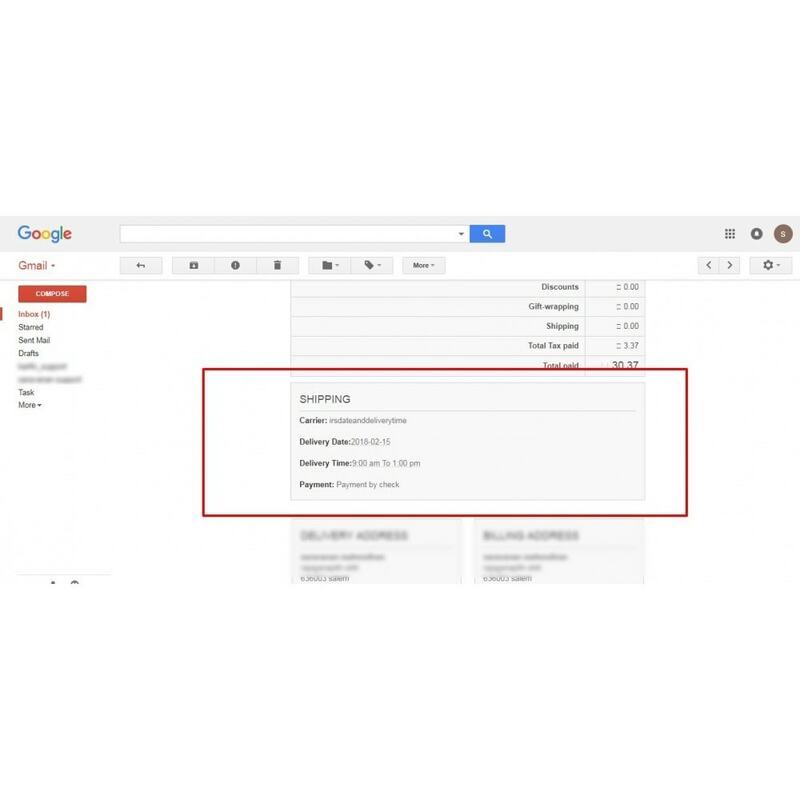 => It allows the admin user can add week holidays for order delivery. => It allows the admin user can add Maximum order for the Delivery Time Slot in a day. 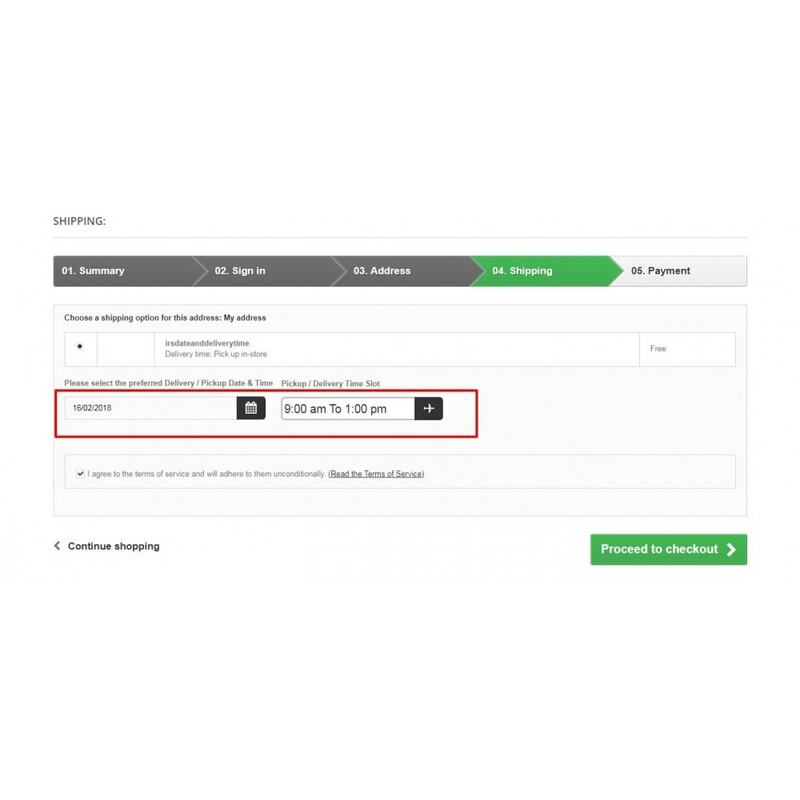 => This extension adds delivery date and Delivery Time field in the store front checkout Delivery Method Tab. => The customer can pick expected Delivery Date and Delivery Time. 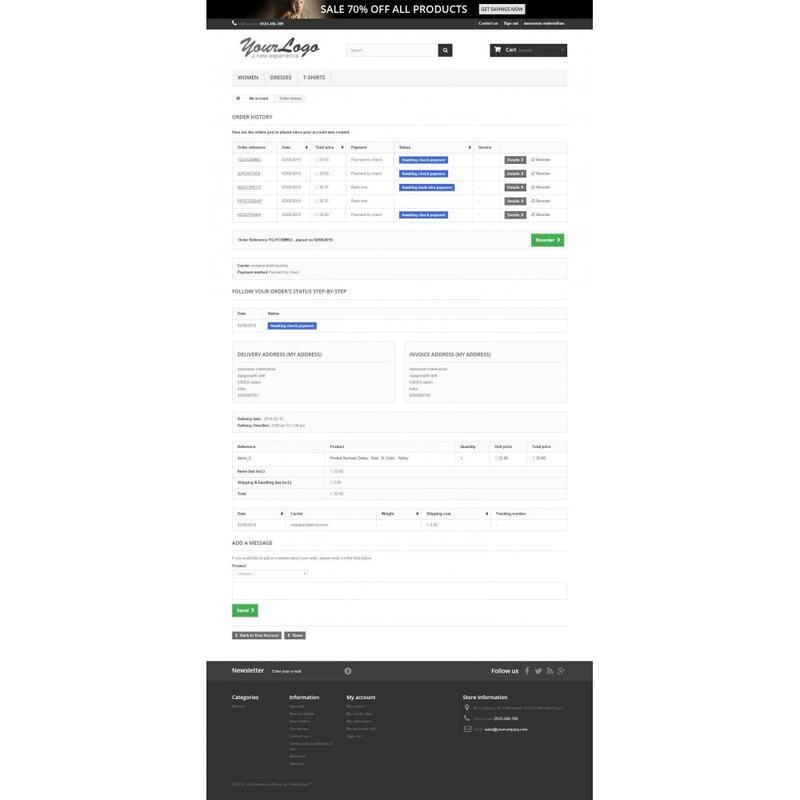 => Delivery date and Delivery Time is shown in front office Orderdetail. => Delivery date and Delivery Time is shown in Admin Dashboard's Order detail page. 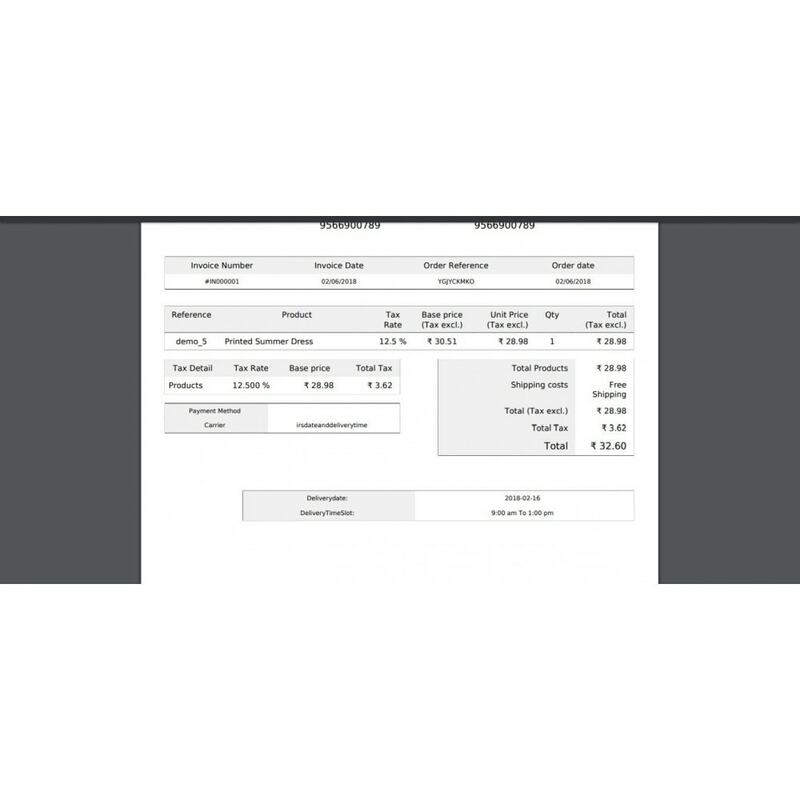 => Delivery date and Delivery Time is shown in Order Invoice bill and Order confirmation mail also. step 2 : See the "irsdatetimedelivery" Module then Click [install] link to install this Plugin. 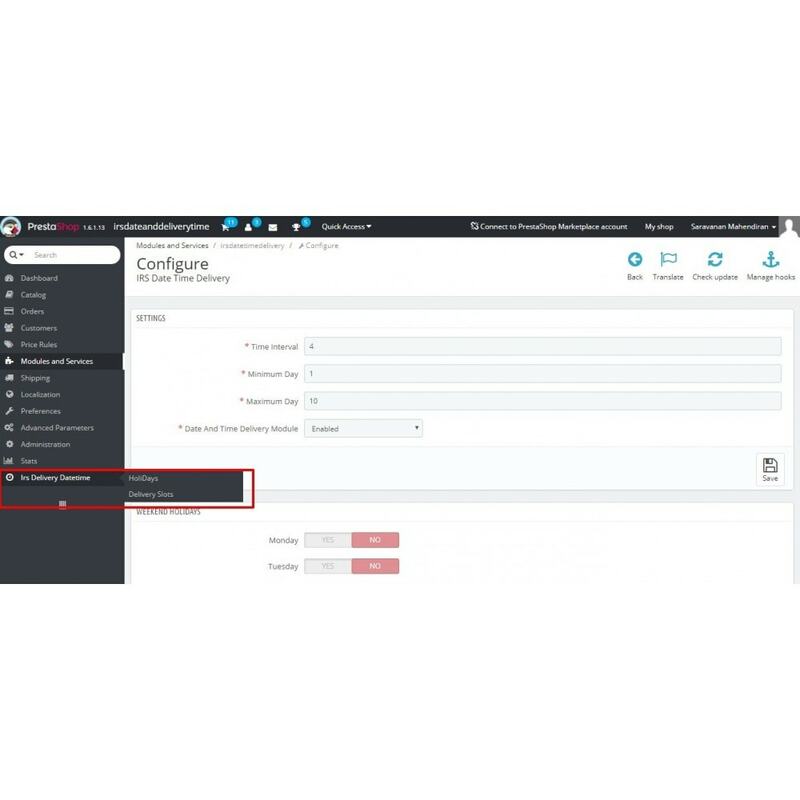 step 3 : See the "irsdatetimedelivery" Module then Click [configure] link. i) Select Status [ Enabled/Disabled ]. ii) Give Time Interval [Integer Value][show frontend Time interval duration]. iv) Select Status [ Enabled/Disabled ]. -> Now Click "Save" button. -> Click "Edit" button to update existing Holiday. This extension Ask For Price has displays "Ask For Price" button on whether the particular product price is 0(ZERO), And also disables "Add To Cart" button.